Every painter is familiar with a canvas, a simple structure stretched into a taught epidermis, a skin which becomes the ground that everything is built upon: the gesso, the oil, and finally a varnish. On the other hand, creating the support can allow you to take ownership, so if you thought that finishing a picture was satisfying, just imagine the pleasure from completing it on a canvas that you primed yourself. Pay attention to the results, but be forewarned that there may be no going back from the concepts we will describe, even though a lot of times we do things out of convenience. 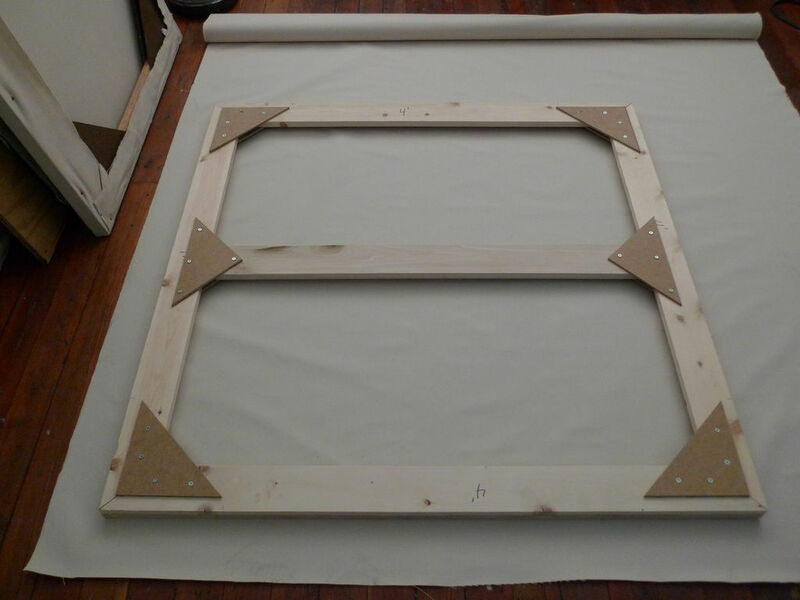 How you prepare the primary structure affects the entire artwork, as it’s an essential skill, which is why we put together a guide that you van try, provided you have all the tools to stretch a canvas: stapler, canvas pliers, nitrile gloves and the stretcher bars. Your first attempt may be lacking the necessary sturdiness, but just remember that you couldn’t paint as well on day one and that didn’t stop you. We believe the results will be worthwhile, as our experience is based upon years spent in conservation as lovers of art and techniques, as well as educators in graduate school training, although our initial learning has been modified by observation. 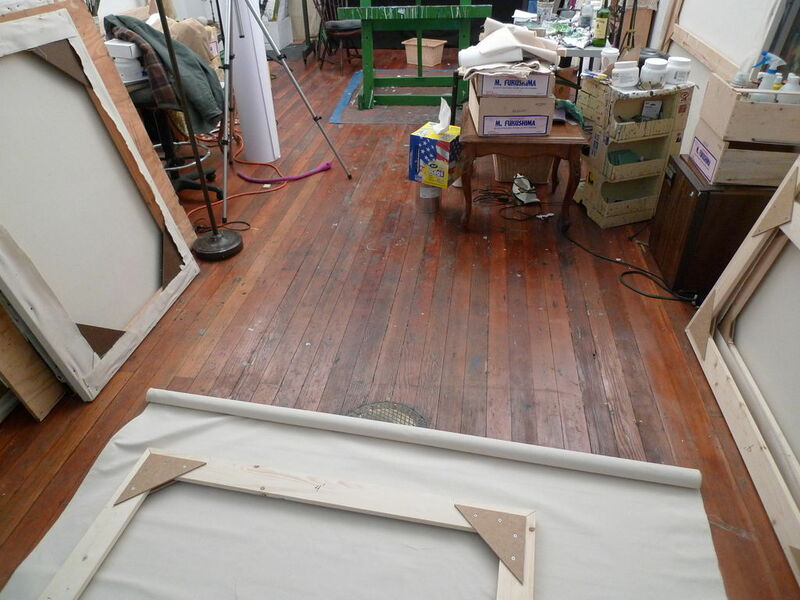 Stretching your own canvas adds a personal touch, but you ought to find out how the experts do it, and even though now it may seem like a time-consuming process, the benefits are plentiful. We are going to present a procedure that may sound very much at odds with what artists are taught from their studio days, so please give a try to some of the techniques, because if these procedures are embraced, the results might be almost revelatory. Let’s be honest: don’t you need to paint your own painting? The most important thing is straight kiln dried bars, which keeps the canvas straight square, but be aware that they come in different sizes (usually ¾ inch thick) and lots of different depths. The basics you will need are a pair of stretching pliers, a hammer and a staple lifter. The introduction of stretched canvas allowed open wood grid frames that could be transported but, as with any format, the longevity will depend upon how sound the construction is and how the art is displayed and cared for over time. Your cost can range from $8-$20 ($50-$150 per print), depending upon the thickness you choose, and you might have the inconvenience of a time delay, and not all framers are familiar with wrapping prints. Just drop off your prints, because framers have the equipment to stretch any print and they do not need to be a fixed size.